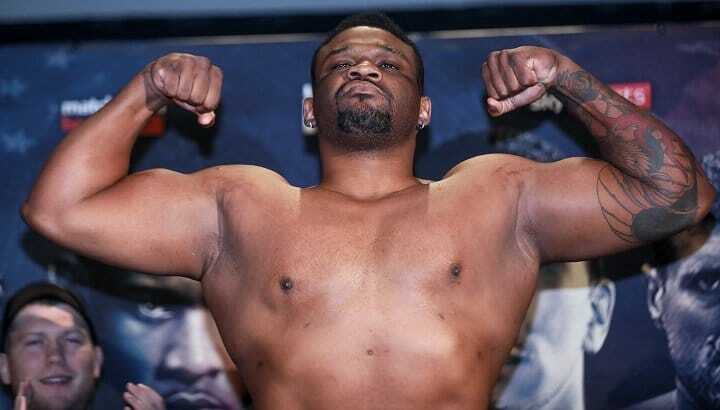 Last night on the ESPN card from Fresno, California, heavyweight contender and former WBO title challenger Andy Ruiz pounded out a ten-round UD over experienced campaigner Kevin Johnson. The scores were 99-91 and 97-93 97-93. Ruiz, beaten only by former WBO ruler Joseph Parker, is now 31-1(20). Johnson, who still knows his way around a ring, is now 32-10-1(16) – he has been stopped just twice. It was a reasonably interesting fight, by no means an absolute stinker, even if “KingPin” was more interested in boxing a defensive fight than attacking. Ruiz, often criticised for his physical conditioning – or to be more accurate, his physical appearance – threw out plenty of leather with his fast hands and his stamina held up fine. Of course, not too much pressure was coming his way from Johnson; a man who has been in with almost every big-name heavyweight of recent times. Ruiz, having just his second fight back since dropping a very close 12-round decision to Parker in New Zealand, was happy to have gotten ten good rounds under his belt. A fight between Ruiz and the unbeaten Miller, AKA “Big Baby,” would be an intriguing fight but Miller may have other options. The New Yorker still has that eliminator with Kubrat Pulev to consider taking, and he is also reportedly looking at a fight with the Manuel Charr-Fres Oquendo winner, this fight to decide the “regular” version of the WBA belt. What would Miller gain from a fight with Ruiz? If he were to beat “The Destroyer” critics would claim Ruiz was not that great in the first place, but then again, Ruiz could conceivably upset Miller. Whoever he does fight next, it is to be hoped Ruiz, a talented and gifted heavyweight, remains active. With his quick hands, decent power and reliable chin, Ruiz could be involved in some exciting big fights.